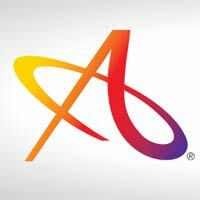 In early February, Ricoh and Avanti announced that Allegra Network had chosen Avanti Slingshot as the core of its WorkStream™ integrated web storefront to MIS workflow automation solution that will be offered across its North American network of 270 marketing and print communications franchises. Our readers may remember that I visited Allegra Network headquarters in Plymouth MI three years ago to get a look at the new facility and the impressive Marketing Resource Center the franchise network had already put in place to support its franchisees. Now the company is taking that support to an entirely new level with the ongoing development of WorkStream™, its integrated workflow automation solution. This article originally appeared March 5, 2015 on whattheythink.com and is reprinted with permission.